Just under a month ago, Netflix guaranteed itself a 13-hour (or so) partnership with subscribers’ attention spans with Daredevil’s sophomore season. Like Season 1, it was a largely dazzling display of fight choreography and comic storytelling, and this round had the added bonus of an unbridled Jon Bernthal and a gracefully lethal Elodie Yung. Similarly to Luke Cage and Jessica Jones’ friendship in the latter’s eponymous series, Daredevil’s second season felt like a true push towards the eventual Defenders miniseries. So, in the wake of today’s big news, I ask if Season 3 would really make any sense now. Not that this show hasn’t already been the subject of a high-profile change-up at the showrunner level. Season 1 had Spartacus creator Steven S. DeKnight at the helm - he'd replaced original writer/creator Drew Goddard - and he left to take on other endeavors after it was released. Petrie and Ramirez certainly snatched the reins with gusto, and they’ll likely do a great job with The Defenders. That pair would also be where to look for suggestions on who else might be able to step in as showrunner for a potential Season 3, but just because someone else could do it, that doesn’t mean it should happen. As much as I loved both seasons, I’m not blinded to the faults that are there and widely acknowledged, knowing that all things are arguable. For instance, while watching Matt embrace and develop the Man Without Fear was great and exciting for the most part, both seasons belonged to other characters. 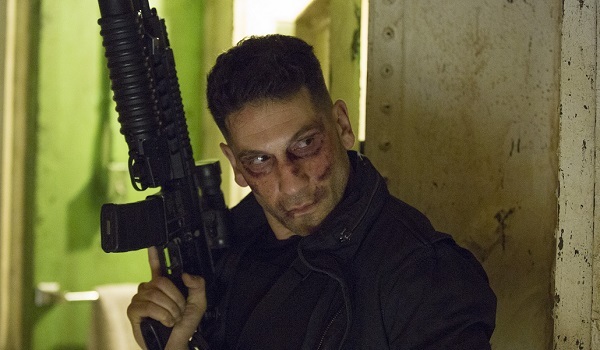 Vincent D’Onofrio was a scene-stealing madman in Season 1, while The Punisher’s brutal path to justice was easily the strongest aspect of Season 2. Elektra was also the most palatable aspect of anything involving the Hand and its zombie ninja army. So while I’m not taking anything away from Charlie Cox’s performances as the titular hero, I think this all suggests the character could work better within a group context, where Matt and Foggy’s tiffs aren’t sitting front-and-center. Yes, there were technically still some loose ends when Season 2 finished, but those still-existing narrative points can be easily cleared up in The Defenders. And yes, there are more than enough Daredevil comic book arcs that would serve as excellent subject matter for future live-action stories, but we all know that a third TV season isn’t the only way for this beloved character to fight crime. I know I’m not the only one ready to see Charlie Cox’s Daredevil head to the big screen for a more large-scale adventure, either alone or with another super-team. Maybe after one or two of those, then another trip to episodic plotting can be discussed. And this is all assuming Daredevil doesn't get killed during The Defenders, because I refuse to accept that as even the most minute possibility. Before The Defenders even gets here, we’ve still got both freshman seasons of Luke Cage and Iron Fist, as well as Season 2 of Jessica Jones. It’s going to be a great 18 months of comic book TV, regardless of whether or not another season of Daredevil enters into it. If it does, though, know that I will cheer just as loudly and binge just as faithfully as anyone else, since the fanatic section of my brain is bigger than the critical portion. Both seasons of Daredevil are currently available for streaming on Netflix. Do You Think Season 3 Is A Great Idea?